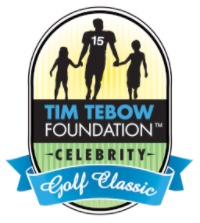 JACKSONVILLE, Fla., March 12, 2018 /Christian Newswire/ -- The Tim Tebow Foundation hosted its 8th Annual Celebrity Gala & Golf Classic this past weekend, March 2 & 3, 2018, at TPC Sawgrass in Ponte Vedra Beach, FL. The events were packed with celebrities that stretched various realms, from sports legends including Adrian Peterson, Bobby Bowden, Urban Meyer, Doug Flutie, Dan Mullen, Marcus Allen, Gary Sheffield and Johnny Damon, to reality TV stars such as Chip Gaines & Joanna Gaines from HGTV's Fixer Upper and members of the Duck Dynasty family. The event kicked off Friday night at the TPC Sawgrass Clubhouse with an exclusive star-studded gala. Celebrities and event sponsors posed along the red carpet in front of flashing cameras as they entered for an unforgettable night. "It's humbling and it's a blessing because it's great to come back to where I grew up and where it's still home for me," shared Tim Tebow, Founder and Chairman of the Tim Tebow Foundation and host of the weekend. "But, at the same time, so many people from all walks of life are coming here, not just because of me, but because they believe in what we're doing." Once seated, the Tim Tebow Foundation Gala was emceed by Emmy award-winning voice and personality, Tom Rinaldi. The night opened with a prayer led by 9-year-old, Jada, who was recently adopted from Ghana with the help of the foundation's Adoption Aid initiative. The gala progressed with a surprise awarding of the foundation's first-ever Life of Significance award honoring Bob Tebow, Tim Tebow's father, for his influence on people's lives around the world, his devotion to his family and the life-long work of his ministry. Tim Tebow gave an emotional and powerful address, followed by a live auction that raised more than $1.3 million. The night ultimately concluded with an intimate performance from Eric Church. Saturday, the stage was set at the TPC Sawgrass Stadium course for a day full of laughs, competition and, of course, golf. More than 3,000 spectators came out to take part in the fun and interact with their favorite celebrity. The day started off with a bang, as the 1st tee was lined with hundreds of spectators as Tim Tebow and 8th year Diamond Sponsor, American Residential Services (ARS), greeted more than 30 W15H (Wish 15) families and were officially introduced on the starting hole by Colby Hodges, who received an official W15H experience in June, 2017, at a Columbia Fireflies game. This set the tone for the day, as the competition began, but the theme of bringing Faith, Hope & Love was evident. "One of the most humbling parts of the weekend is how much each person rallies around the idea of bringing Faith, Hope & Love. Yeah, it is a golf tournament, but what we get to do through this golf tournament and the love we get to share, not only during the event, but throughout the entire year is special. I'm so thankful for every celebrity, sponsor & fan that chose to give their time, resources and money to help us continue fighting for those who can't fight for themselves," shared Tim Tebow. "ARS/Rescue Rooter and Florida Home Air Conditioning looks forward to our annual Diamond Sponsorship of these events," says Dave Slott, CEO of ARS. "It's a privilege to support the critical mission of the Tim Tebow Foundation, and we cherish our relationship with both Tim and his philanthropy." The Tim Tebow Foundation Celebrity weekend was a great success, raising more than $2.2 million for its outreach initiatives. It also offered a unique opportunity to see the outreach initiatives firsthand, as members of the Tim Tebow Foundation family, such as W15H kids and Night to Shine guests, participated in the events throughout the weekend. Gary Sheffield and his foursome placed 1st in the tournament. The Tim Tebow Foundation exists to bring Faith, Hope and Love to those needing a brighter day in their darkest hour of need. That mission is being fulfilled every day through the foundation's seven areas of outreach, including W15H, Timmy's Playrooms, Orphan Care, Adoption Aid, the Tebow CURE Hospital, Team Tebow and Night to Shine. For more information on the Tim Tebow Foundation, please visit www.timtebofoundation.org. Based in Memphis, Tenn., privately-owned ARS operates a network of more than 70 locally managed service centers in 22 states, with approximately 5,500 employees. The ARS network features industry-leading brands including, A.J. Perri, Aksarben, ARS, Allgood, Andy's Statewide, ARS, Aspen Air Conditioning, Atlas Trillo, Beutler, Blue Dot, Brothers, Columbus Worthington Air, Conway Services, Efficient Attic Systems (EAS), Florida Home Air Conditioning, Green Star Home Services, McCarthy Services, Rescue Rooter/Proserv, Rescue Rooter, RighTime Home Services, RS Andrews, The Irish Plumber, Unique Services, "Will" Fix It, and Yes! Air Conditioning and Plumbing. United by Exceptional Service®, the ARS/Rescue Rooter Network serves both residential and light commercial customers by providing heating, cooling, indoor air quality, plumbing, drain cleaning, sewer line, radiant barrier, insulation and ventilation services. Each location has a knowledgeable team of trained specialists, who have undergone rigorous drug testing and criminal background checks. Providing exceptional service and ensuring the highest standards of quality, ARS has the experience to do any job right – the first time, with all work fully guaranteed. For more information on ARS, please visit www.ars.com.